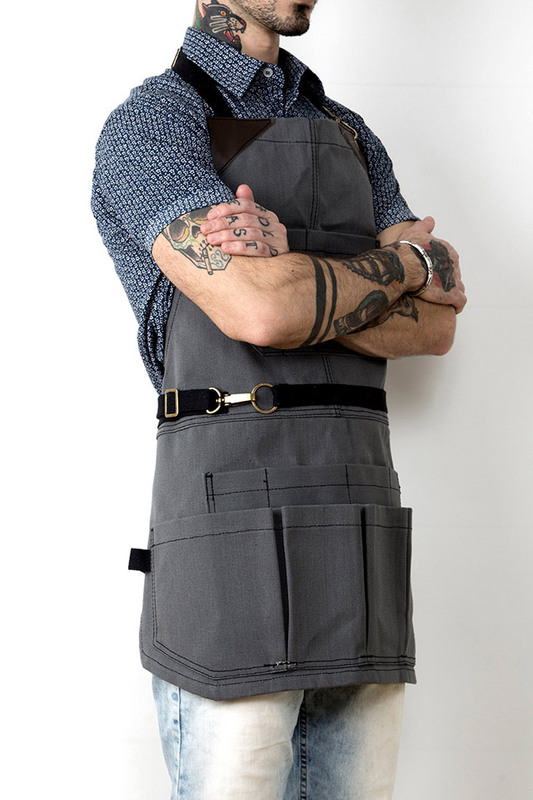 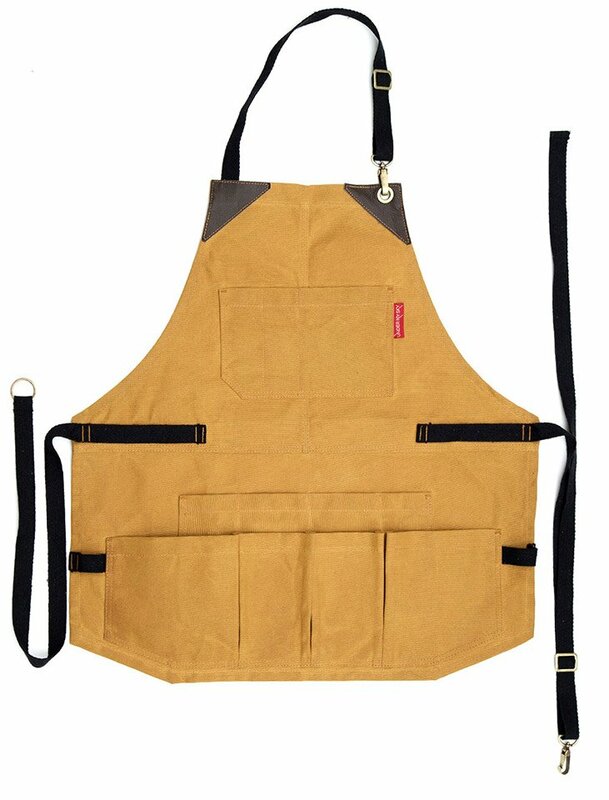 Keep your tools or art supplies organized and on hand with this sturdy shop apron from UnderNYSky. 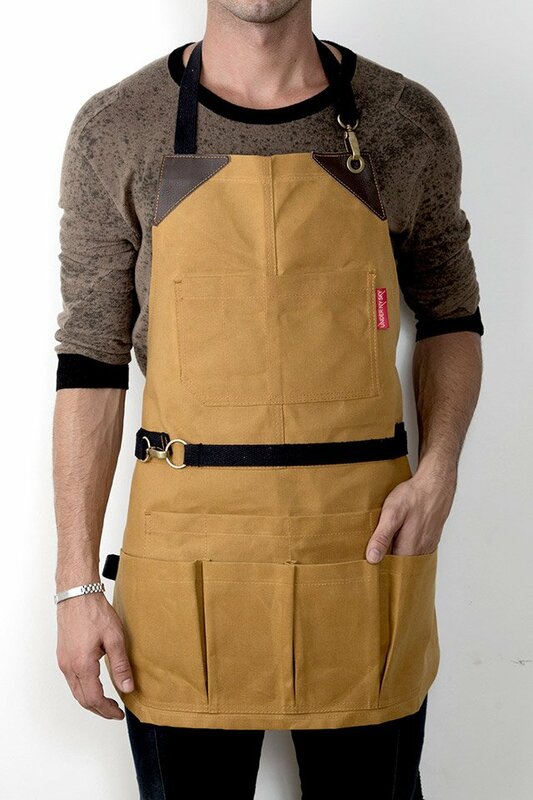 Each one is handmade from heavy duty 18oz. 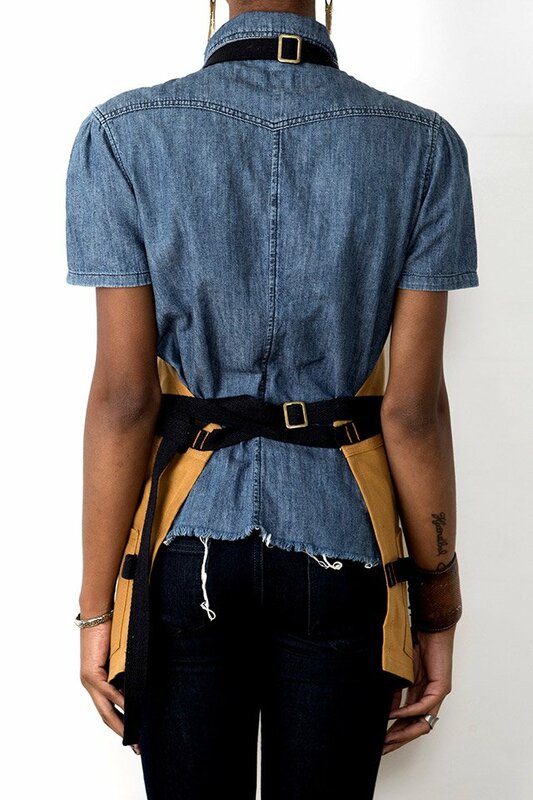 waxed canvas and leather, has plenty of pockets, and a no-tie waist strap that’s easy to open and close from the front.